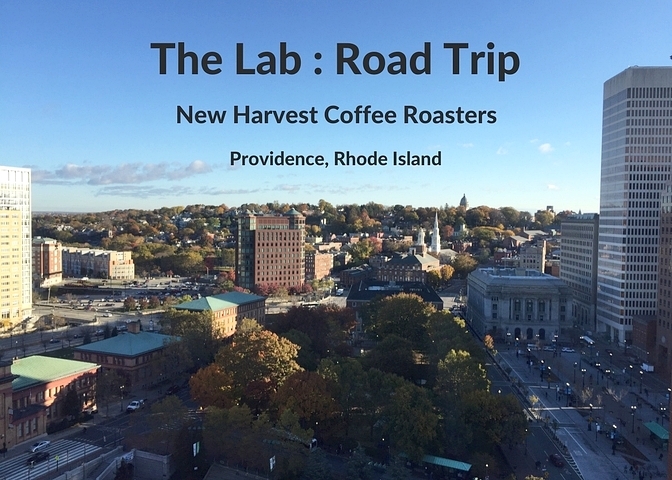 The Lab is hitting the road and joining our friends New Harvest Coffee Roasters in Pawtucket, Rhode Island, to bring a sampling of The Lab's programming to New England. Join us for a full day of interactive coffee and tea workshops. Attendees will rotate in small groups through classes on roasting, brewing, espresso, and tea. This event is perfect for baristas, passionate coffee enthusiasts, and those who'd like to open their own shop someday! Jump into the fundamentals of roasting! We’ll talk about what happens to a coffee seed as it’s being roasted and what things you can manipulate during the roasting process to create certain cup profiles. We’ll then taste coffees and discuss what could have happened in the roast to influence what we’re tasting. As a coffee professional or fan, you may be pretty comfortable describing the positive and negative attributes of certain coffees. Switching to another beverage, like tea for example, with it’s own set of type attributes and flavor profiles, is one of the best palate development exercises you can practice. Maxwell Pollock from Royal Tea NY will lead this tea cupping with different types of black, green, and oolong teas, to showcase how different types of tea within the same family can vary from each other, and also teach the basics of what to look for when evaluating tea. You try a new coffee at your favorite coffee shop, and it’s awesome. You buy a bag of beans to brew at home, but it’s just not coming out the same way! There are many factors that can influence coffee extraction, and in this workshop, Sophie Short of New Harvest Coffee Roasters will lead students through a tasting analyzing different variables. In exploring how key factors influence the final brew, students will leave with the confidence to better dial in their coffees at home or coffee shop. As a barista or a home espresso devotee, you probably feel like you know to use your espresso machine to pull a great shot. But how well do you know what’s going on inside your machine? How does your machine regulate temperature? How is the water actually traveling through your machine? Are there any parts inside your machine that are susceptible to wear and tear? This workshop covers all the ins and outs of how different types of espresso machines work, basic maintenance that baristas can do, and leaves lots of time for questions and “what if” scenarios (“what does it mean if the group heads are dosing unevenly?") It’s also a great workshop for those thinking of starting a cafe or upgrading their espresso machine, as we’ll discuss the pros and cons of different types of machines. This class is taught by the experts from Northeastern Coffee Equipment, who specialize in the installation and repair of commercial espresso and coffee brewing equipment in RI, CT, and MA. This event is sold out! We hope to do another Road Trip event in the future, so stay tuned!